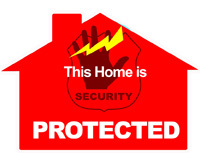 Pope Security Systems takes pride in providing residential and business security you can trust. We will work with you to design a system that meets your security needs and is easy to use. Burglar alarm systems can be integrated with fire detection, video, environmental and access control systems, and they typically include sensing devices, a control panel and keypads. Pope Security Systems uses a combination of surveillance and detection devices to detect unauthorized entry. 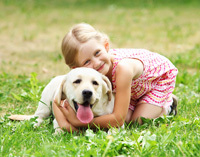 Our security systems can be easily adjusted. For example, when a low level of security is desired, the chime feature can be used to produce a soft chime when an exterior door or window is opened. Many small businesses use this feature to alert employees of walk in customers. When you want to have the perimeter secured, and still be able to move about freely inside, you can elect to bypass the interior motion sensors. You can easily arm the sensors when you leave for maximum security. Should your system be triggered, an alarm will sound and signals are sent instantly to your 24-hour Central Station Monitoring Company. Pope Security Systems offers a variety of environmental alarm sensors which are easy to add to your alarm system. You can monitor and adjust various environmental conditions such as temperature extremes, water levels, oil burner failures, fuel levels, gas and carbon monoxide levels. You can even monitor and control these conditions remotely with your Smartphone or computer using one of our newest products, the iBridge. When you’re not there, our systems monitor conditions when you can’t.